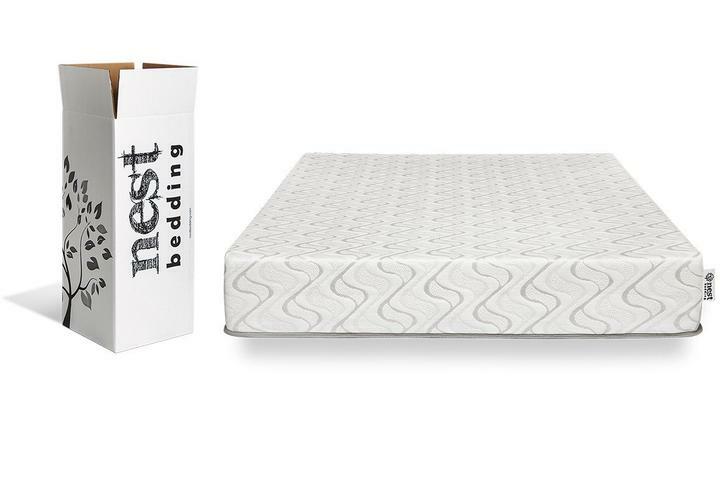 The Love and Sleep mattress by Nest Bedding is among the most popular models on the market. The company promises to deliver great comfort levels for a very reasonable price. So, does this mattress really offer great value for money? Is it comfortable enough to satisfy any user? That’s what you will find out in this Love and Sleep mattress review. Let’s see if this bed is really worth your attention. 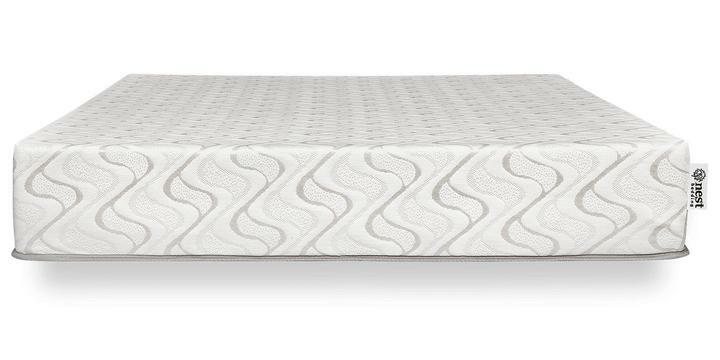 Whom Is This Mattress Suitable For the Most? The good news I want to start my Love and Sleep mattress review with is that you get to choose from two firmness options: Medium and Firm. This means there are two possible designs of the Love and Sleep’s construction. 6-inch Edge Support base foam. This 1.8-lb. foam core serves as the base for the bed, offering a sturdy feel and proper support for the whole construction. 1-inch SmartFlow airflow layer. This is a polyfoam layer that acts as a transition between the base and the comfort layer. It features a convoluted design and contributes to the airflow and temperature regulation. Besides, this layer is a real plus for heavier sleepers. When they sink in deeper, it serves as an extra comfort layer to prevent them from hitting that dense base. 3-inch Energex cooling comfort layer. It features a special foam mix, which is 2.8-lb. dense and combines memory foam and latex foam. Having quite a unique feel, this layer works to cradle the body but responds quickly to pressure, so you don’t get sunk in. 8-inch Edge Support base foam. 2-inch Energex cooling comfort layer. It uses the same materials but implements a simpler construction without that extra transition layer. Also, the Firm’s comfort layer is thinner that of the Medium model. With such a build, the Firm mattress has a stiffer feel. Many people don’t really care about their mattresses’ covers. Even though the cover will be hidden under the sheets, it’s still the part of your mattress that will be the closest to your body. That’s why I give it a special section in my review. Now, this bed has a cooling cover. It uses PCM, a phase change material. This fabric absorbs and releases heat when the temperatures change. This means the cover remains neutral in terms of temperature and maintains a pleasant cooling feel. The cover’s fabric is stretchy and breathable, allowing the air to circulate properly. And when the pressure is applied, the cover regains its shape fast, so you don’t have to worry about annoying wrinkles under the sheets or accidental tears. 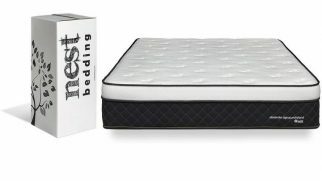 Another important aspect I want to mention in my Love and Sleep mattress review is the overall feel of this bed. After all, it will determine how comfortable you will be when lying on it. Let’s start with the Medium model. To be honest, it surprised me a bit. You see, that top comfort layer is quite unique. It offers great pressure relief but has a bouncy, responsive feel, which means it doesn’t make you feel stuck in the foam. As for the firmness level, the Medium model stands at around 6 (with 10 being the firmest). It’s firm enough to support your back but has enough cushioning to cradle the protruding parts. I think the Medium model would be perfect for side sleepers. Now, moving on to the Firm option. Obviously, it has a stiffer feel. And it’s just as responsive, with a decent amount of bounce. This mattress feels less plush and doesn’t allow for that much cradling. On the firmness scale, it’s close to 7-7.5. I find this option an ideal fit for back and stomach sleepers. Support is extremely important for your spine health. And with this mattress by Nest Bedding, you get what you need. Both Medium and Firm models are sturdy and supportive. They can keep your spine in a neutral position all through the night. However, you need to make sure that you pick the right model for your particular sleeping position. I would also like to talk about edge support in this part of my review. You see, if you share your bed with a partner (or tend to sleep on the edge), you need the entire mattress surface, including the edges. And those edges must be able to handle your body weight. 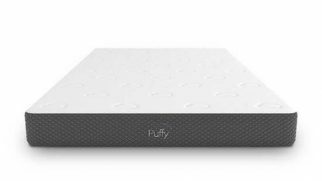 To be honest, this Nest Bedding mattress has surprisingly good edge support, which is quite uncommon for foam beds. When lying on the edge, I didn’t feel like I was about to roll off. Even when changing positions, I felt quite secure. But when I was sitting on the edge, the mattress was showing much more compression, which is only to be expected. This part will be especially helpful for couples. When sharing a bed with your loved one, you don’t want to wake them up by moving around, do you? That’s when motion isolation properties of a mattress come in handy. The motion transfer test results of this mattress were quite average. Because this mattress features a combination of memory and latex foams, it has a bouncier feel than regular foam beds. It also offers quick response. These traits result in average motion isolation. Your partner might feel a slight disturbance when you move, but the motion gets absorbed by the mattress pretty fast. No, this mattress will not completely counteract your movements and make the other side of the bed 100% still. However, this mattress does absorb the movement to a certain extent. Therefore, if your partner isn’t a very light sleeper, they might not even notice you tossing and turning during the night. The level of sinkage determines how deep you are going to sink into your mattress. This aspect is quite important, as some people enjoy the feeling of being hugged by their mattress, while others prefer lying on top of it. 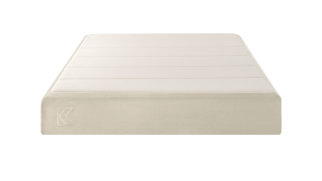 When reviewing the Love and Sleep mattress, I found a balance between responsiveness and cradling. Just to give you an idea, I tested both models – the Medium and the Firm one. When lying on my back, the Medium mattress allowed for around 4-5 inches of sinkage for the protruding parts, while the Firm model allowed for around 2.5-3 inches of sinkage. Don’t expect to feel like you are hugged by this mattress. 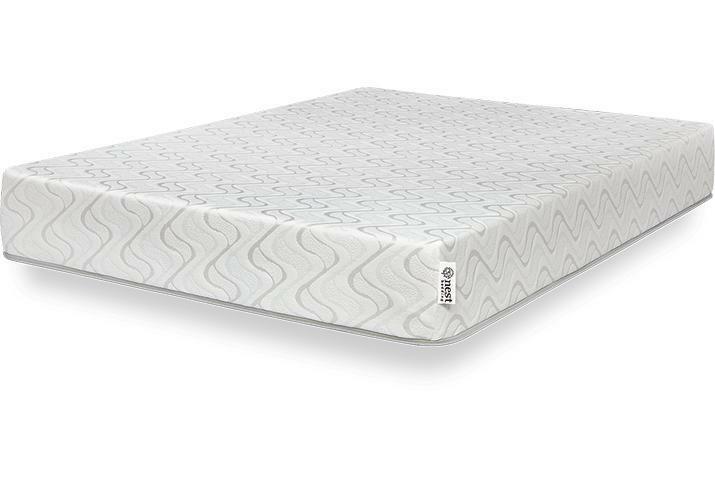 It is quite responsive and has a bouncier feel than regular foam mattresses because it implements that Energex upper layer. Still, you can count on decent levels of cradling for your pressure points. I personally feel like this mattress offers a very balanced feel: not too much sinkage, not too much bounciness. All mattresses arrive with a certain odor. This odor might simply be the “new mattress” scent. Or it can be a horrible mixture of chemicals and other strong smells, which may never go away. Now, with the Love and Sleep, you don’t really have to worry. Even if you have a sensitive nose. The mattress comes with that “new” odor, which disappears completely in a day or two. The foam is CertiPUR-US and GREENGUARD Gold certified, so you don’t have to worry about any harmful emissions either. There’s one more thing about Love and Sleep that might turn out to be exactly what you need. They offer a Split option if you purchase a King or Cal King sized mattress. It means you can buy two halves of the bed separately. This is ideal for couples that have different preferences. You can get the Medium Split King for yourself and the Firm Split King for your significant other, for example. This way, you both get the comfort you need while sharing one bed. To me, that’s a win-win! The coolest thing I’ve found about this mattress is the value for money it offers. It is reasonably priced, and let’s not forget about the financing option. This model packs a ton of great features, offering good support levels, multiple comfort options, decent cradling and contouring, and much more. To me, that’s impressive given its affordability! When it comes to this bed’s drawbacks, the biggest one is probably its unique bouncy feel. As this is a foam mattress, users expect it to have that hugging feel typical of all memory foam beds. But because the company uses a different foam blend, this mattress is actually bouncier than regular memory foam ones. It offers quicker response and doesn’t have that slow-hugging feel, which can be a huge turn-off for memory foam fans. The company offers financing to its customers. This can be a nice perk if you need a new mattress but can’t afford to pay the full price right away. You just pay around $30 every month and get a new bed without making a noticeable “damage” to your budget. The payments can be spread across the period of 6, 12, or 18 months. Let’s get to the technical stuff, shall we? The company offers free shipping and returns. But if you are ordering from Hawaii, Alaska, or abroad, you will have to pay the shipping fees. The mattress is delivered compressed in a box. It usually takes around 2-5 days to deliver the bed, depending on your location. Another cool thing is the sleep trial. You can return your mattress within the first 100 days of use if you don’t find it comfortable enough. Also, Nest Bedding offers a lifetime warranty with this Love and Sleep mattress. So, if your bed has a manufacturing defect or other issues that are not linked to improper use, you will get it either repaired or replaced. I know that you have your own preferences when it comes to sleep and beds. So, do you want to know whether the Love and Sleep mattress would be good for you? are looking for a good deal. Despite such a high rating, the Love and Sleep mattress won’t work for everyone. But it can still make a lot of sleepers happy. Supportive, bouncy, and universally comfortable, this is one of those simple models that win users over with the quality of materials and the combination of layers. Try it – and you will see for yourself!